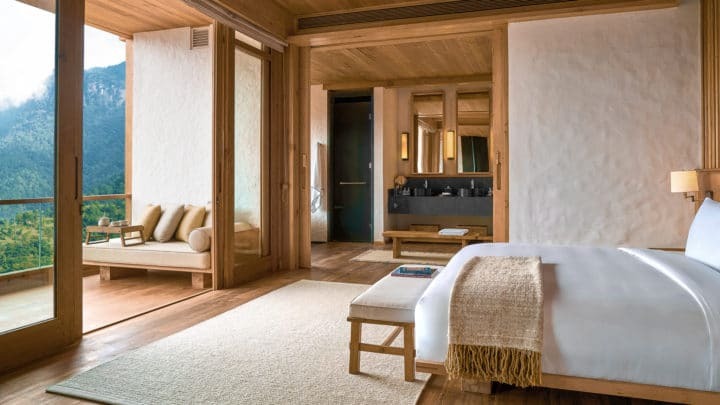 Comprising of five individual lodges in the stunning settings of Thimphu, Punakha, Paro, Gangtey and Bumthang, Six Senses Bhutan creates a miraculous journey through this spiritual Himalayan kingdom where happiness is the national measure of success. In celebration of its opening, enjoy the following offers. To book this offer, please contact the reservations department directly at reservations-bhutan@sixsenses.com. 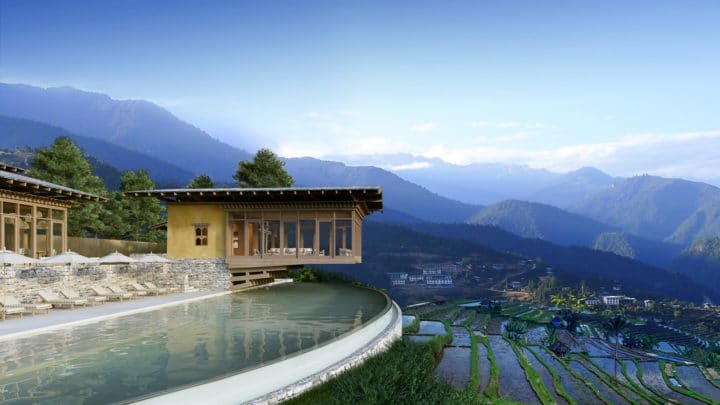 Reservations are being accepted from February 15, 2019 for the lodges in Thimphu, Paro and Punakha with soft opening rates. Full rates will be applied for stays from April 1, 2019 onwards. The lodges in Gangtey and Bumthang are targeted to open in the summer of 2019. Complimentary upgrade from half board to full board each day of your stay. When you stay at least five consecutive nights, you’ll enjoy a private vehicle with driver and a licensed English-speaking Bhutanese guide for your trip, plus complimentary upgrade from half board to full board each day of your stay. 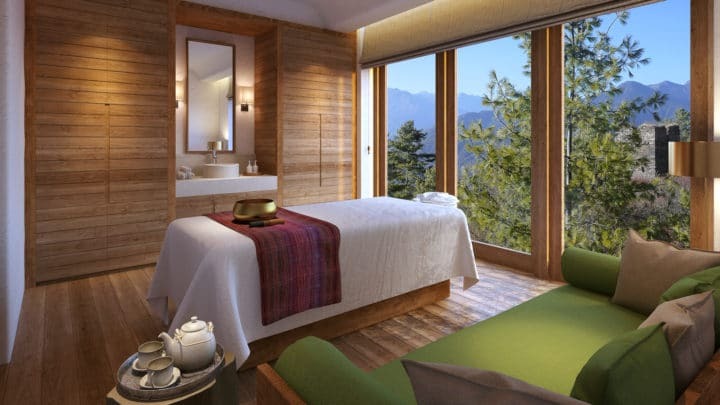 Experience the best of the Himalayan Kingdom with Six Senses Bhutan when you stay for at least seven consecutive nights at any of the lodges and Six Senses Bhutan include a private vehicle with driver and a licensed English-speaking Bhutanese guide. Request of complimentary vehicle and guide is subject to availability. An advance notice is required.